There are 7 posts filed in Alberta (this is page 1 of 3). Ok, it makes me laugh every time I read GrowLab. 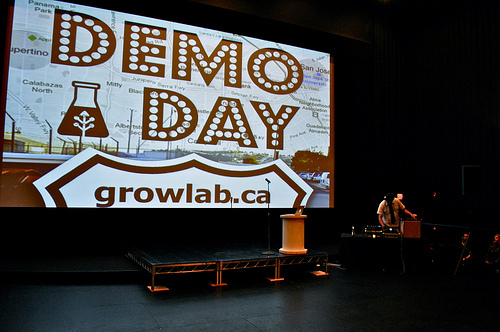 The only way it could be better is when someone describes the GrowLab companies as “GrowOps”. They really did a great job in creating a corporate name that has a set of nuanced meanings (well maybe it’s not so nuanced). What makes you different from other entrepreneurs trying to build start-ups? You are competing with thousands of entrepreneurs for the same resources, talent, and capital. How are you going to make sure that you attract the best people and funding? Is it about who you know or is it about how great your product is or the reach you have in the community? In Toronto that I get to host the above conversation, it means that I’m going to have to represent for the “Wantrepreneur” side. Because there is too much awesomeness with Daniel, Jason and Debbie representing the “Entrepreneur” side. It should be a fun event and a great time for entrepreneurs to get or stay connected with each other. This is a great group to provide deep insight into the experience of building companies in Canada and selling them to Silicon Valley powerhouses. Given the tour includes stops in Bucharest and Budapest, I can guarantee that someone will mention Summify (congrats guys).Also excited that Debbie and Jason will be joining us on Feb 16 for Founders & Funders. EmpireAvenue, the world’s first influence stock market, where you can buy and sell virtual shares in your friends and brands has raised it’s first round of seed financing from W Media Ventures. Something hinted at in yesterday’s City of Champions round up. The Edmonton based startup, founded by former BioWare, Electronic Arts, and MySQL employees, has in a matter of months developed a robust social trading platform and attracted over 15,000 users. The new capital will allow the company to continue development and launch Avenue Rewards, a platform that connects brands with influential individuals. 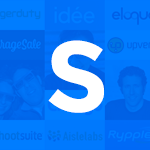 A similar business model is being pursued by Klout, a competitor in the influence market. As part of the financing, Boris Wertz of W Media Ventures will be joining EmpireAvenue’s board. Boris is easily one of the most active early stage consumer internet investors in Western Canada, with a portfolio that includes: Tynt, Suite101, Indochino, Yapta, and many more. He brings an incredible depth of experience to the venture; EmpireAvenue’s stock is rising in a major way. 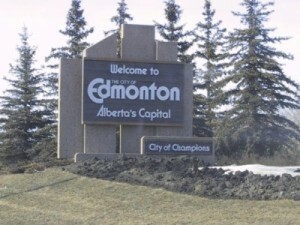 One of the first things that strikes you as you are driving in to Edmonton from the airport, besides how long the drive is, is the entrance sign to the city. It is declared the “City of Champions”, and it kind of takes you off guard. St John’s is the “City of Legends”, Montreal the “City of Saints”, “Toronto the Good”, the list goes on, but nobody seems to aspire quite like Edmonton aspires. We are constantly looking to Montreal, Toronto and Vancouver as the beacons of the Canadian startup community, but the truth is that those cities do not always carry their own weight when put up against smaller cities who are hustling to make things happen. 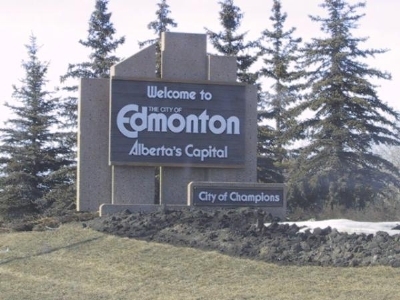 Edmonton has an aura of wealth, there is money pulsing through this place, and like Texas before it, Edmonton has a pedigree of entrepreneurialism from those days. This city is punching above its weight. At least, that is the romantic view of Edmonton and Alberta in general. Beamdog. An app store for games for the PC. This is taking ambitious to a whole new level in competing with Steam as a distribution platform. They have an impressive number of games in their catalog as of now, but in the absence of large scale distribution deals with publishers, my guess is that it will be tough to get mainstream content. Cam pointed out that they really have the beginnings of a killer app store platform however, and there are a lot of opportunities for them to slide horizontally, or to focus on specific niche’s in gaming. It will be a cool company to watch as I think we will see them iterate a few times. Empire Avenue. Buy and sell your friends (I just bought a lot of RANNIE). Empire Avenue is an explicit mechanism to assign value to the objects and people we interact with on the web. In a way we are all doing this everyday: We friend and unfriend people, we subscibe and unsubscibe from newsletters and other things that affiliate us with companies, and we share links and bookmarks. Empire Avenue lets you put a stake in the ground and buy shares in something you think will rise in value. I’ll be honest, I still don’t have it figured out, but it seems just crazy enough that I want to follow it. After I signed up, it was fun and the first few things I needed to do (buy some shares in friends) seemed clear. The rumor is that they have closed a first round and it will be announced tomorrow. Edistorm. An online whiteboard for groups of people. “Edistorm takes the metaphor of sticky notes on a boardroom wall and brings it online allowing anyone – anywhere to brainstorm with only a web browser.”. A neat app, the product execution seems good and the price is right for the customer. They have done everything right so far, but I can’t figure out the market side of the product/market fit. Democamp and Launchparty regularly attract 200+ people here and Cam will be organizing the first Founders and Funders dinner this fall. There is talent and ambition here. Smart investors will get on a plane and take a look at what is happening. City of Champions? I’m willing to believe it.